I stumbled across coconut oil while on a visit to Costco in April of 2013. I bought some out of curiosity and came home and did some web research on it. I learned that while it is a saturated fat, not all saturated fats are alike and more importantly, some saturated fats, including coconut oil, are extremely good for you. Coconut oil is a medium chain fatty acid (MCFA) as opposed to the long chain fatty acids (LCFA) found in most oil in our diets. Coconut oil is easy on the digestive system, requiring minimal digestion. It travels immediately to the liver to be converted into energy. It doesn’t circulate in the body and end up being stored as fat. So for a quick energy boost, eat a spoonful of coconut oil or add it to your food. To learn more about this fascinating fat and the many benefits you can enjoy from it read on. The MCFAs feed healthful bacteria in the large intestine and help fight off harmful pathogens in the digestive tract. Coconut oil: What is it all about? Viva la coconut oil! Love the photo. Happy Nesting. I loved this – so informative! Definitely some good info here. Nicely done Tony! This is such a great succinct post on coconut oil! Love your articles! Thanks for your kind words. Very happy to help. Thank you for the post! This is great because not many people realize the affect of long chain fatty on health! I am glad that you are taking an interest in this, i cook all of my foods in organic coconut oil. You are entirely welcome. Thank you for commenting. It tastes so good and it is good for you. I use it for various things. Cooking, I use it in my smoothies too. My dogs and cats really love it . It is good for them too. It also makes their coats shine. It is a good thing to use on your skin as well as hair. Sometimes I will just eat a tablespoon of it. It tastes good too! Thanks for sharing your experiences. I start every morning with a spoonful off peanut butter dipped in coconut oil. Been doing that for several years now. Great energy booster. LOVE this post! My future goal to be a wellness consultant for aged care residents, incorporating engagement, movement and nutrition into life as you get older is so important! 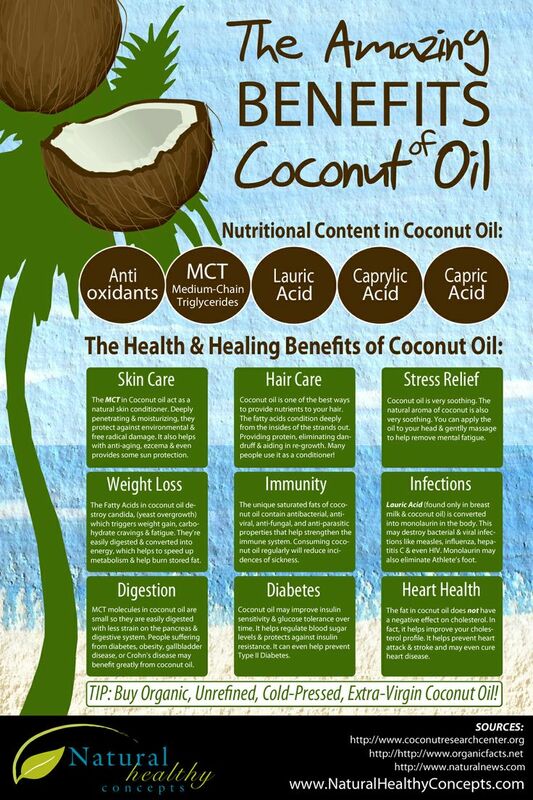 Coconut oil is AMAZING for brain and general health. When I don’t eat a lot of coconut oil I actually have to moisturise my skin more. Thanks for the great post!! Thank you for your kind words. Very happy to help. Love coconut oil! Thanks for the info. Loved your whole post! really had a lot of good information! Thanks for the information. A friend of mine was telling me about the coconut oil but I wasn’t convinced on trying it. But you seem to have convinced me to try it. Great job!!! Thanks for sharing that, Wilhelmina. You won’t be sorry. I have it in the morning with peanut butter and at night I cook my popcorn in it. I also use it as an aftershave lotion. I love it so much.How can l get some to use regularly. Do you have a Costco store available? They carry it. 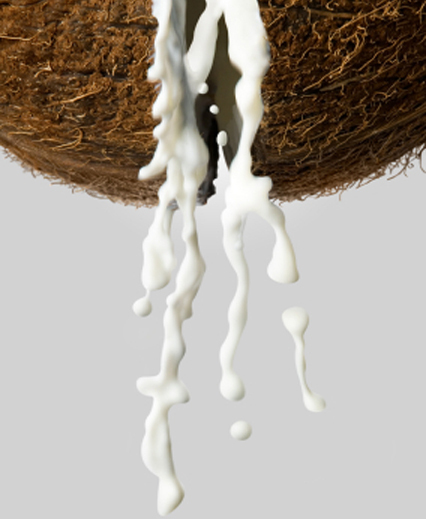 It would seem the American Health Association advocates avoiding consuming coconut oil. I would be pleased to hear your response and do enjoy your comments Tony. I think they are being careless about lumping all the fats together like that. I can tell you that I have peanut butter and coconut oil every morning of my life. I cook in it and make my popcorn in it. I have published my cholesterol numbers several times. I stand by my recommendation. I will continue enjoying coconut oil. I agree with you, the arguments in favour of it are overwhelming. I use the unrefined coconut oil that has the coconut aroma and flavour. I particularly enjoy frying salmon fillet with it. I also enjoy the oil on toast rather than butter, and with peanut butter it is delicious! I love coconut oil! I have experienced improved digestion, and improved blood work numbers. I love it on chilled fruit. I put it on my cereal. I put it on my toast. I generally eat a tablespoon morning and night. I think it is amazing stuff!! Thanks very much for sharing that. I feel equally positive about it. Great article! Love the abundance of information, I will be looking more into coconut oil in the near future, thanks! Thanks very much for sharing that. Much appreciated.